Green is probably my favourite nail polish colour. I can't get enough of it. Greens are the shiz. Here's a few I like. China Glaze Jolly Holly. 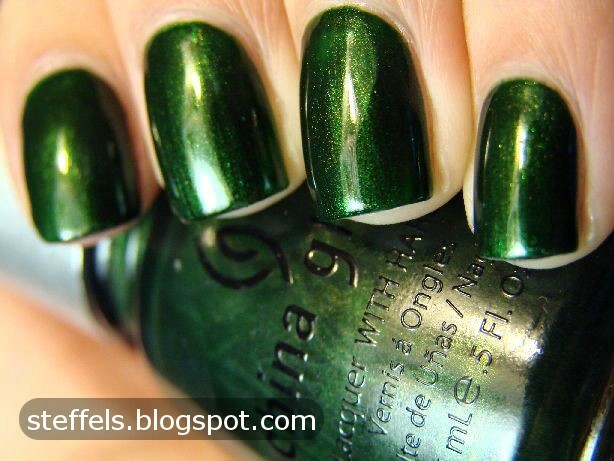 Lovely dark forest green shimmer. The shimmer leans golden in this and gives the green a little warmth and so much depth. Beautiful! I love it! Precision McDreamy. One of those many jade green cremes that have come out lately. Not unique but such a lovely colour. Awesome application too- two smooth coats. 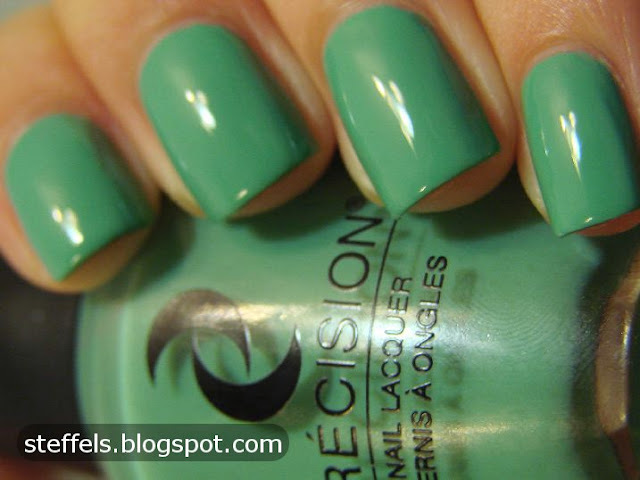 Revlon Emerald City. Dark green with bright emerald shimmer. Dries semi-matte. I'm not too keen on the finish of the Revlon Matte Suedes. I like my matte polishes really matte and my shiny polishes really shiny - stuff in between doesn't really tickle my fancy. But holy poop... just look at the colour. Orly Green Apple. It's not a jelly but there's something about the colour that just says "I'm juicy. EAT ME." Needless to say, I absolutely adore it. I'm having a few troubles lately so these are older pics. I hope you guys don't mind! Yaay green! I was in a green mood today myself & chose CG Tree Hugger as my mani du jour.